Make the next gift you give a little brighter! 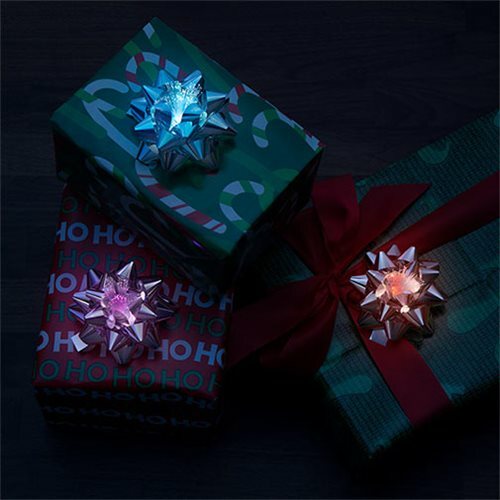 The Stellar LED Bow 6-Pack Set is sure to make your recipients' eyes sparkle before they even open the package. Each silver mylar bow has fiber optics in the center that light up with an LED which blinks and pulses as it shifts between colors. Requires 1x "CR2032" battery, included and non-replaceable. Each battery lasts about 48 hours. Measures about 3 1/2-inches wide.